~ Dear Author reviewed Petals & Thorns! ~ Dakota at Dark Divas gives Petals & Thorns Five Delightful Divas! Makes me want to get some more stories out there. ~ The Romance Studio gives Petals & Thorns Five Stars! ~ Fern at Long & Short Reviews (formerly Whipped Cream Reviews) gave Petals and Thorns a Five Cherries review! Plus stated “one of the best novellas I’ve read so far this year.” Thanks! ~ Also, one of my favorite book bloggers, Smokin’ Hot Book gave Petals & Thorns Four Smokin’ Smooches – and I had no idea she’d received it for review! ~ The fabulous, funny and irreverent Sparklybearsy gave it four sparkles! ~ Love 2 Read for Fun gave Petals & Thorns four flutters. ~ Emily at Sensual Reads gave Petals & Thorns a Sizzling four stars. ~ Fire Pages gave Petal & Thorns a 5 Star review! 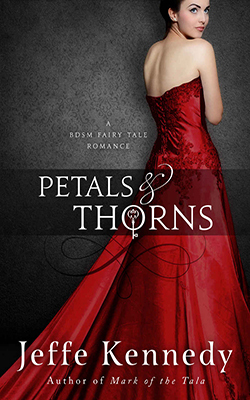 ~ Gabrielle at You Gotta Read Reviews gave Petals & Thorns a rating of “You Want To Read”.